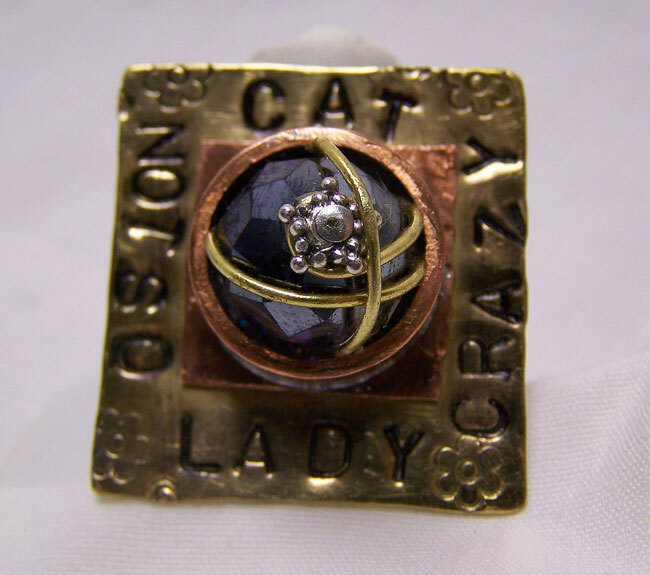 Here's a VERY unusual cat ring, designed for a special lady...a "not-so-crazy" cat lady, of course! I made it adjustable;it's currently sized to fit a size 7 1/2 finger. The band is nickel silver, and the main part of this ring is pure brass; there's a copper inset with a bezel, which holds a faceted amethyst crystal bead, wrapped in brass wire, accented with Bali silver. 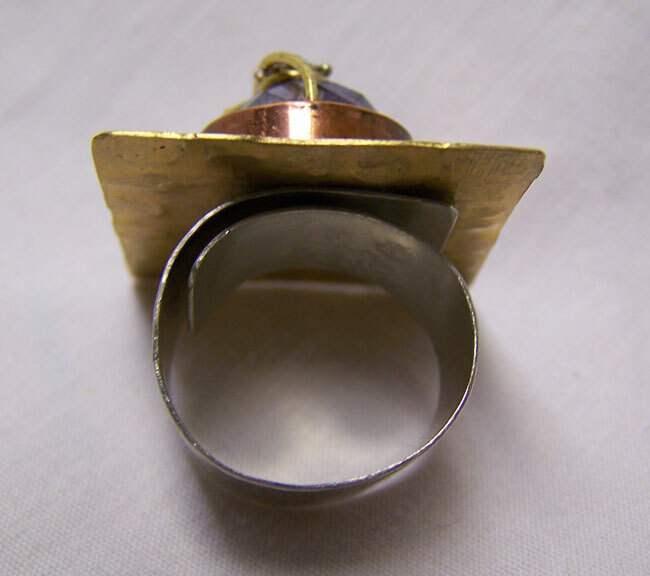 The "face" of the ring measures 1" x 1"; I've treated it with a special jeweler's varnish to preserve the finish.